Building Stapleton one neighbor at a time. Probably the best place to start when describing Stapleton to a new visitor is to answer a few typical questions: Is Stapleton a city? No, Stapleton is a neighborhood in Denver, Colorado, planned to blend into the surrounding city neighborhoods. A planned neighborhood? Does that make Stapleton a cul-de-sac suburb? No again. Stapleton is an ongoing example of the New Urbanism “school” of sustainable community design, focused on smart growth and walkable neighborhoods. Stapleton is NOT a gated community, and there are NO cul-de-sacs – the Stapleton street grid confirms (as much as possible) to the surrounding neighborhoods. Do planes still land at Stapleton? You’d be surprised, but some people still ask this question! Maybe it is because the old airport control tower still stands at the corner of Central Park Blvd and Martin Luther King Blvd. No, planes land at Denver International Airport – the old Stapleton runways are all gone, recycled into new building materials! If you want to learn more about Stapleton’s history … click here! 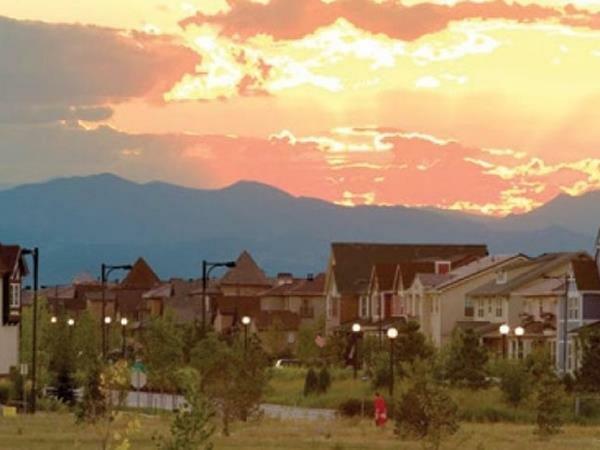 Aside from the usual questions … Stapleton is plainly a growing neighborhood in located in Denver, Colorado. Just 15 minutes Northeast of downtown Denver, the development is on the site of the decommissioned Stapleton International Airport, which closed in 1995. 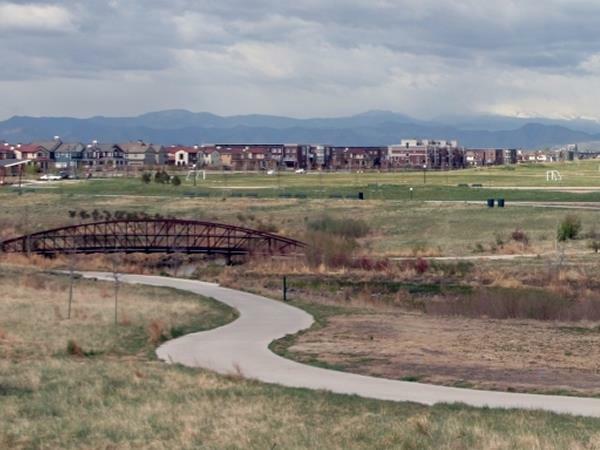 Now referred to as the Stapleton Community, Stapleton contains nine neighborhoods, nine schools public/private, 50 parks, several shopping and business districts, even its own visitor center. Planned to be operational by the year 2016. Stapleton is connected to the rest of the Denver metro area by a recently opened commuter rail line. The community is expected to be home to some 30,000 residents in 12,000 homes, 10-plus schools, an 80 acres Central Park, a commuter-rail station [RTD], 10,000,000 sq ft. of planned office space, 1,500,000 sq ft. of retail space, and 1,100 acres for parks and open space. Stapleton’s 1,100 acres of open space also borders the restored Sand Creek Regional Greenway and Bluff Lake Nature Center, one of the nation’s largest urban wildlife refuges.